Whether a small business or a large corporation, the new generation of mailing supplies, mailing equipment and mailing machines, are designed to streamline your mailing procedures, boost efficiency and affect your bottom-line. Owning your own equipment, from envelope printers to postal scales can help you save costs and avert deadline disasters. Are your mailings needs low, medium or high volume? How much do you spend on your postage daily, monthly, yearly? What are your primary types of mailing, i.e., letters, postcards, parcels, business articles, etc? What product features are necessary? What is your budget and what pricing are you looking for? What equipment are you lacking that will help streamline your mailing operations? Will you need training, service or support options? Envelope Printers: The recent premier of the inkjet envelope printers has eliminated the crucial step of generating laser printed labels and can enhance your marketing efforts. Studies have shown that customers will open mail with directly printed envelopes more often that label printed envelopes. Most models print in black but some 4-color printers are also on the market. In addition to mailing addresses, envelope printers will also print bar codes, return addresses, graphics, and marketing messages on your envelopes. 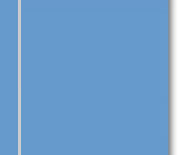 Most printers can handle an assortment of envelope sizes and thickness. Be sure to check that your mailing software is compatible with the equipment you are considering. Bottom line savings include time spent monitoring label printing, clearing up printing jams and the cost of labels. Folding Machines: From desktop to large industrial models, today’s folding machines offer a wide range of features including batch counters, mail inserters, memory guides, and the ability to handle stapled materials. A wide variety of folds are available including standard C folds, accordion folds and brochure folds. Cost effective and time saving, these machines are essential in ensuring seamless mailing operations for your company. Mail Openers: For businesses that process large quantities of incoming mail, automatic mail openers offer a wide range of features that open envelopes and keep your mail neat without damaging contents. They are highly efficient and allow your employees to save valuable time for more important tasks. Postal Scales: Two money saving must-haves for any size business are the postal meter and scale. Today’s scales can interface with your postal meter and have features such as shipping rates for Fed-Ex, UPS and other freight forwarders programmed into the scale. They can handle anything from a single envelope to large parcels and eliminate overpayment of mailing fees to save you money. In days gone by, refilling your postage meter meant standing in long lines at the post office with your meter in hand. Today’s meter can be refilled via your phone line for up to $1,000 in postage simply by setting up an account with USPS. Under federal law however, they are the only postal machines that must be leased and cannot be purchased. Most models offer auto feeds, envelope sealing and stacking to expedite your mail preparation. They offer security features, and account coding that enable you to keep accurate records of money spent for your mailing projects. After you’ve determined you needs, go ahead and shop around to find the best mail products and solutions for your business and guarantee your company’s success every time. 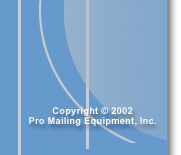 Pro Mailing Equipment, Inc. is a supplier of new and rebuilt mailing supplies, such as envelope address inkjet printers. Their professional staff has extensive sales and service background for all major brands of mailing systems and can help in making selections for the mailroom or answering any questions about their mailing machines.